The conference on network security and communication engineering is meant to serve as a forum for exchanging new developments and research progresss between scholars, scientists and engineers all over the world and providing a unique opportunity to exchange information, to present the latest results as well as to review the relevant issues on contemporary research in network security and communication engineering. Young scientists were especially encouraged to attend the conference and to establish an international network between each other and with senior scientists attending the meeting. In recent years, network security has become more important in all aspects of life and society; from business to politics, the essential value of network security is shown everywhere. The appearance of Internet marked the beginning of the age of communication engineering. 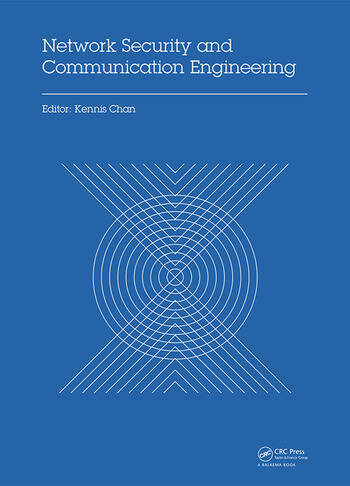 The growing influence of communication engineering has become more and more apparent in people’s work and life. More than 180 scientists and researchers from more than 15 countries attended the meeting. Articles were divided into sessions: network and system security; grid and cloud computing; networking algorithms and performance evaluation; multimedia, signal and image processing; wireless communications and sensor networks.